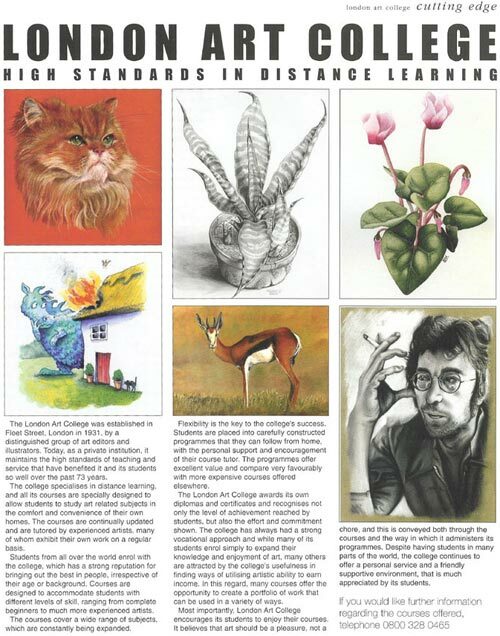 The London Art College were lucky to have a wonderful review in the Art For England Magazine. A copy of which is below. Welcome to the London Art College News and Media Blog. My name is Melanie Phillips and I am a tutor and webmaster for the London Art College. Along with Alison, the course administrator, we will hopefully blog news, competitions, new students work we feel worthy of notice, new courses being produces, and general news items we feel is of interest to our students and readers. If you have any articles you feel could be included here, don’t hesitate to email them to admin@londonartcollege.co.uk and put to to the attention of Melanie Phillips and if we feel it is suitable we will post it here for our students to see. We look forward to hearing students feedback and hope that you enjoy our blog.